There are many ways of giving back, and two CC alumni are examples of those who share their time and talents with current students. 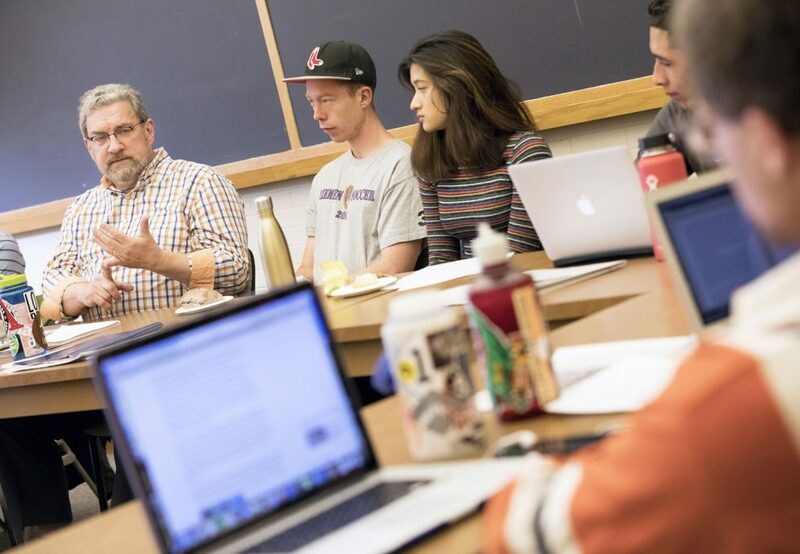 Gregg Easterbrook ’76 and Abigail Washburn ’99 both worked with students this fall, sharing their expertise either in a classroom or workshop setting. Washburn, who was the 2012 Commencement speaker, is a Grammy Award-winning, singing (often in Mandarin Chinese), songwriting, claw hammer banjo player. 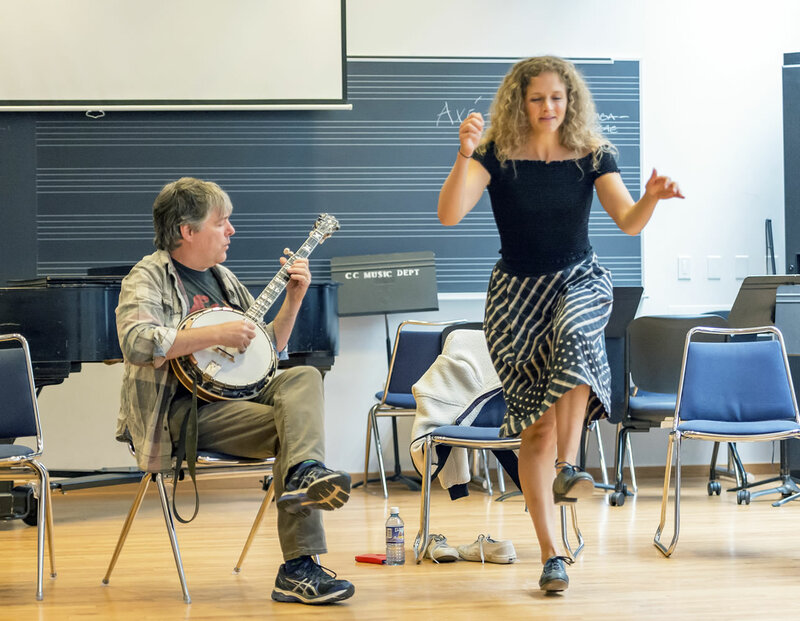 She was on campus with her husband Béla Fleck, the world’s premiere banjo player. 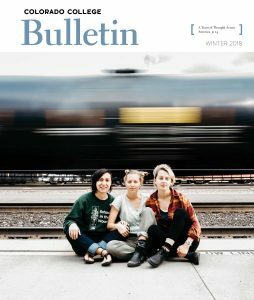 They conducted a workshop with Bluegrass Ensemble Director Keith Reed’s students and a First-Year Experience class, Creativity and Logic.